....or rather, something closer to 'I'd be honored!' We had a wonderful evening last night! 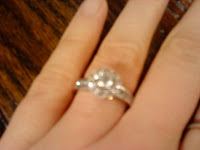 Dinner was at my favorite restaurant, the quaint Tavern on the Square in New Wilmington, PA, and the proposal followed. Paul was nervous, but had the sweetest letter prepared that he read to me before asking, telling me all the things he sees in me, and why he wanted to marry me. How could I resist? 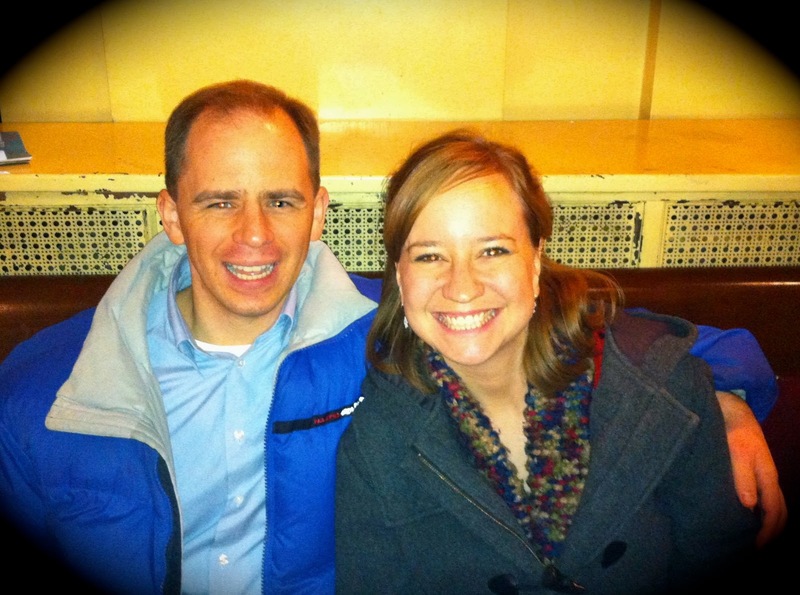 It was easy to say YES to such a sweet, godly man. He is everything I have been hoping for and so much more! I am so blessed. For the next part of the evening, we went to see the Pittsburgh Symphony's Christmas performance at the Scottish Rite Cathedral in New Castle, PA, and enjoyed the wonderful talent of the symphony, as well as the sing-a-long at the end. I did want a picture with the opera-singing 10-foot Santa (he seemed that tall from the crowd *smile*), but he didn't make it into our photo album. Afterwards, we celebrated with a little sparkling grape juice. Cheers! 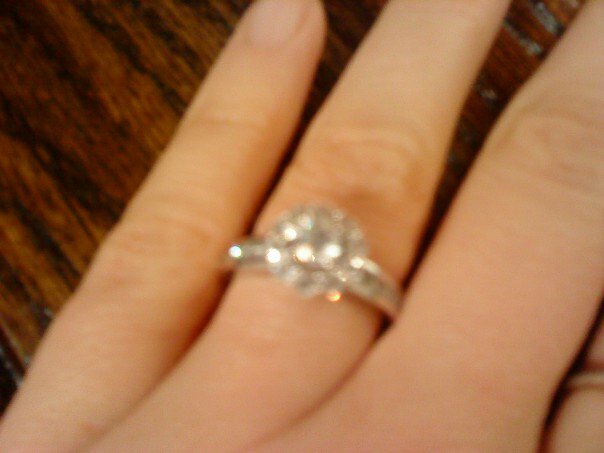 The photo is a little hard to make out, but the ring is a beautiful 1-carat flower-inspired ring. There is a round solitaire in the middle, with several diamonds around it, and a few channel-set in the band. It was another confirmation to me from the Lord about the relationship, as I have long wanted a floral-looking ring. It speaks to me of the many things that God has been doing in my heart and life to bring me to this point. Paul is truly an excellent man. I am thrilled to be his, very soon. Congratulations! May the Lord bless you and your home with love, laughter, and His peace. CONGRATS RUTH! I'd love to catch up sometime! Congratulations! You are a great girl and I'm sooooo happy for you! I'm sure that Jesus will richly bless you and and your relationship with Paul. Again, Congratulations!!!! !